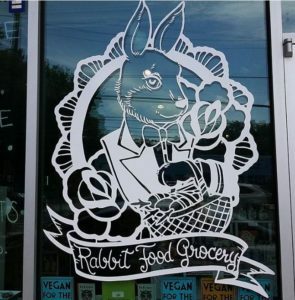 Rabbit Food Grocery is owned by Jessica Morris and Gabriel Figueroa. Both of them are long time vegans. The idea for this store originally came about in 2008 and they were able to open in 2012. The intent of their store “is to grow the vegan community by educating the public on the importance of a vegan lifestyle for the animals, our health, and the environment”. At Rabbit Food Grocery you will be able to find “useful and cool vegan products and essential vegan snacks and pantry staples”. This year they opened their new storefront at 2425A Exposition Blvd, Austin, TX 78703. They are open 7 days a week from 10AM-8PM. They carry some really great products! Q: How did the idea to open this store come about? We are longtime vegans, and in the early days you’d have to go to several stores to get everything you need. The goal was to provide most of what a vegan would need under one roof. The mission is to help grow the vegan community by providing a one stop shopping experience. Q: Are your customers more likely to come into the store or order online? Much more likely to shop in store. We have only a couple of online orders a day for shipping around the country. We just launched Same Day Local Delivery, and so far the response has been good. Q: What are some of your popular items? We sell a ton of vegan jerky, frozen vegan meats, vegan cheese, and lots of chocolate! 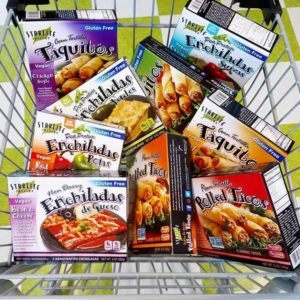 More and more folks are looking for easy dinner ideas and grabbing frozen meals or proteins for a quick dinner at home. Q: What is something most people don’t know about Rabbit Food Grocery? We’re located in an all vegan shopping center! The landlord of the shopping center is a vegan and all of the businesses in the center are either explicitly vegan (such as a restaurant and bar, and our grocery store) or use cruelty free products (the hair salon, nail salon, day spa and barber shop) or don’t require the use of animals (like the dance studio, Pilates studio, post office, etc). It’s like a little cruelty-free community! Q: Do you see the store opening up more locations in the future? Be sure to follow Rabbit Food Grocery on social media to see what exciting new products they might be getting in! Read about our last Independent of the Month, Natural View Market, here!